Use FME to overcome the challenges associated with integrating Elasticsearch with other on-premises and cloud-based applications. With its native support for JSON and hundreds of other formats FME lets you move data from practically any source into Elasticsearch so it is searchable for your entire organization. FME is data conversion and integration technology that helps you migrate practically any data into Elasticsearch databases, without writing any code. Create workflows that convert data from hundreds of sources into Elasticsearch JSON including CSV, Excel, SQL Server, Oracle, XML and more. Unlike online format converters, FME has a library of data manipulation tools that let you restructure a dataset in different ways so it fits the target system’s model. For instance, you can deconstruct a tabular dataset, extract data subsets, edit contents, and generate JSON that is formatted to fit your Elasticsearch database’s schema. 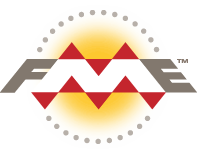 FME also has customizable tools that allow you to connect to practically any web service that has an API. Combined with capabilities for reading and writing JSON, FME enables you to integrate Elasticsearch with any cloud-based application and collect its data. Keep Elasticsearch up to date with constantly evolving data such as that collected by web applications. By deploying FME technology through FME Server or FME Cloud, you can automate Elasticsearch data migration workflows to run at scheduled intervals or in response to real-time events. Lastly, with built-in support for Elasticsearch JSON and 345+ additional formats, FME enables you to use and analyze Elasticsearch data in a wide range of applications. Elasticsearch is a full-text search and analytics engine capable of performing complex searches on large volumes of data, stored as JSON documents, in real-time. FME lets you integrate many applications and file formats. Here are some of the ways our users convert Elasticsearch. The table below outlines how Elasticsearch is supported by our different FME products, and on which platform(s) the reader and/or writer runs.